Managerial Accounting SFCC Fall 2007 Chapter 2. In this chapter, accounting Professor Susan Crosson discusses Cost Concepts, and in particular: Terms. Part 1 of 8. Managerial Accounting SFCC Fall 2007 Chapter 2. In this chapter, accounting Professor Susan Crosson discusses Cost Concepts, and in particular: Income Statements. Part 2 of 8. Managerial Accounting SFCC Fall 2007 Chapter 2. In this chapter, accounting Professor Susan Crosson discusses Cost Concepts, and in particular: Manufacturing Income Statement. Part 3 of 8. Managerial Accounting SFCC Fall 2007 Chapter 2. In this chapter, accounting Professor Susan Crosson discusses Cost Concepts, and in particular: 3 Manufacturing Inventories. Part 4 of 8. Managerial Accounting SFCC Fall 2007 Chapter 2. In this chapter, accounting Professor Susan Crosson discusses Cost Concepts, and in particular: WIP (Work-In-Progress) & OH (Overhead). Part 5 of 8. Managerial Accounting SFCC Fall 2007 Chapter 2. 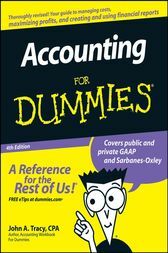 In this chapter, accounting Professor Susan Crosson discusses Cost Concepts, and in particular: OH - 3 Approaches. Part 6 of 8. Managerial Accounting SFCC Fall 2007 Chapter 2. In this chapter, accounting Professor Susan Crosson discusses Cost Concepts, and in particular: OH - 4 Steps to Success. Part 7 of 8.